GMC G. MARIANI & C. SPA, Extracte din condimente si mirodenii, Arome alimentare, Aditivi alimentari, pe EUROPAGES. 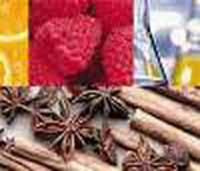 Production and sales: flavours and food essences, fruit juice concentrates, additives for alcoholic and alcohol-free beverages. The company has a high quality management system certified by CSQA no. 284.